Why do certain substances react together in the way that they do? What determines the shape of molecules? And how can we predict whether a particular reaction will happen at all? Such questions lie at the heart of chemistry - the science of understanding the composition of substances, their reactions, and properties. While often fragmented into the strands of inorganic, organic, and physical chemistry, a full understanding of chemistry can only be gained by seeing the subject as a single, unified whole. Chemical Structure and Reactivity rises to the challenge of depicting the reality of chemistry. Offering a fresh approach to undergraduate teaching, it depicts the subject as a seamless discipline, showing how organic, inorganic, and physical concepts can be blended together to achieve the common goal of understanding chemical systems. 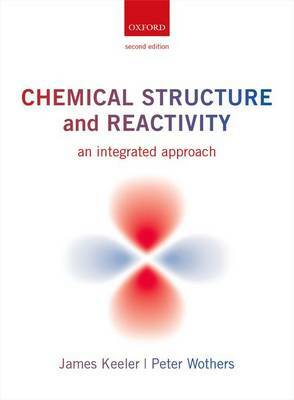 With a lively and engaging writing style augmented throughout by purpose-drawn illustrations, and custom-developed online support, Chemical Structure and Reactivity alone makes taking an integrated approach in the teaching of chemistry a realistic proposition. Online Resource Centre: For students: * Custom developed multimedia content linked to the book, enabling students to investigate the concepts and phenomena presented in the book in a fully interactive way. * Question sets to help students master concepts and gain confidence through hands-on engagement. For lecturers: * Fully worked solutions to the exercises available through the Online Resource Centre. For registered adopters of the book: * Figures from the book in electronic format.